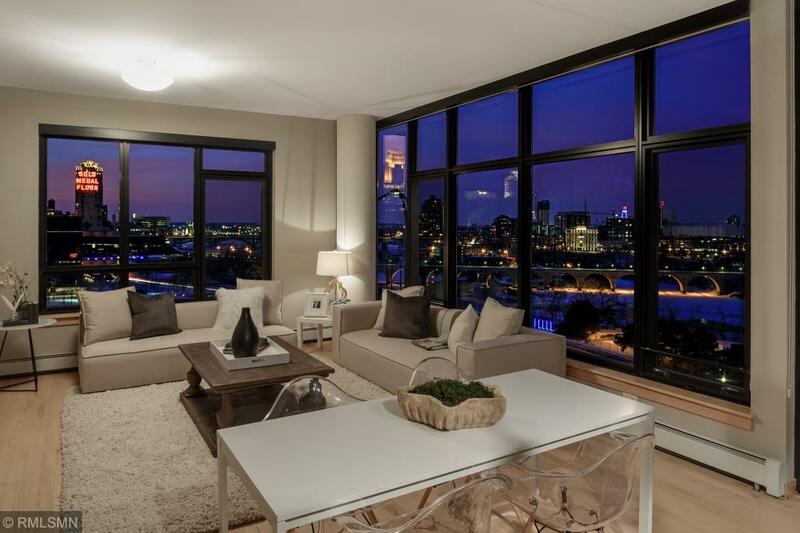 Full unobstructed views of Downtown Mpls, Gold Medal Park & the Mississippi River! Corner location and prime orientation allow for sunrise and sunset views from all windows! Two private balconies, open floor plan featuring two bedrooms & den, hardwood floors, & fresh paint throughout. Lovely amenities and new art exhibit in the lobby make this property a very special place to call home. Walking distance to Light Rail, Trader Joe’s, Farmers Market, U of M, & US Bank Stadium. Easy to show! The content relating to real estate for sale in this Web site comes in part from the Internet Data eXchange ("IDX") program of Regional Multiple Listing Service (MN) - Northstar MLS. Real estate listings held by brokers other than the website owner are marked with the IDX Logo and detailed information about each listing includes the name of the listing broker. The information provided by this website is for the personal, non-commercial use of consumers and may not be used for any purpose other than to identify prospective properties consumers may be interested in purchasing. Some properties which appear for sale on this website may subsequently have sold or may no longer be available. This content was last updated on 04/21/2019 09:00 All information is subject to change and is supplied by seller and other third parties and should be independently verified. Information is deemed reliable but is not guaranteed.